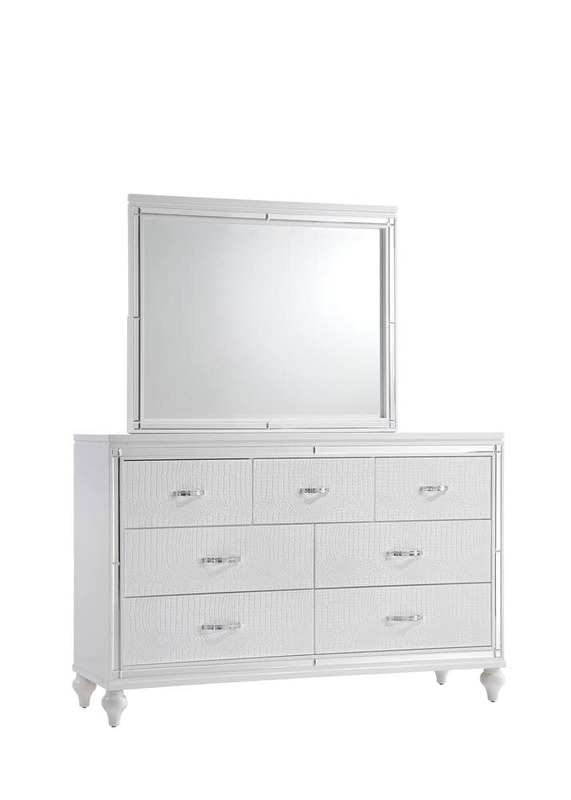 Glam up your bedroom with the lustrous Vice White dresser and mirror. A crisp white finish, complemented by faux Alligator embossed drawer fronts will turn any space from drab to fab. Decorative mirror trim, sleek chrome handles, and crystal accents makes this set truly sparkle.